GM expects to sell at least 100,000 units of the new truck in the first year. 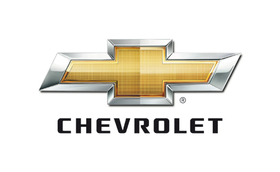 SINGAPORE (Bloomberg) -- General Motors Co. plans to build a new mid-sized Chevrolet truck in Thailand for export to Europe and parts of Southeast Asia as the brand makes its first push into the two regional pickup markets. GM expects to sell at least 100,000 units of the new truck in the first year, with global production of the vehicle concentrated in Thailand and Brazil, Martin Apfel, executive director for GM’s Southeast Asian operations, said in a phone interview today. “The logical consequence is to build where the customer wants it, as that keeps your costs down,” Bangkok-based Apfel said. Thailand and Brazil are “the two centers of gravity for mid-sized trucks,” he said. GM, Honda Motor Co. and Nissan Motor Co. are raising production in Thailand this year as the global economic recovery spurs domestic and overseas demand. Auto output in the nation doubled in the first five months of the year, and the Finance Ministry raised its 2010 economic growth forecast for the second time in three months yesterday as soaring exports offset the effect of recent political unrest. Truck production is part of the Detroit-based carmaker’s plans to invest $467 million in Thailand. Manufacturing will start once GM’s deal to assemble a truck with Isuzu Motors Ltd. there ends, Apfel said, declining to provide more details about the timing. GM’s plans to build a new diesel-engine plant in eastern Rayong province are still on track, and the facility, which will produce engines for the new truck, is in its “last stages” of completion, he said. GM, which makes the one-ton Chevrolet Colorado pickup and the subcompact Chevrolet Aveo at its 165-acre plant in Rayong, will boost output at the factory to more than 80,000 vehicles this year from 39,800 in 2009, Apfel said. GM received loans from three Thai banks to finance its expansion plans in Thailand, the company said in January. It didn’t disclose the amounts. The automaker signed a 13.5 billion baht ($416 million) loan facility with Bangkok Bank Pcl, Siam Commercial Bank Pcl and Tisco Bank Pcl in December, according to data compiled by Bloomberg. The loans will mature in 2017. Toyota Motor Corp., Honda Motor Co. and Ford also have built plants in Thailand, Southeast Asia’s second-biggest economy, lured by tax incentives and demand in the nation of 67 million people. Automakers may produce a record 1.6 million vehicles in the country this year, 60 percent more than in 2009, according to Kasikorn Research. Ford said June 24 it will build a $450 million car factory in Thailand, its first wholly owned plant in the country. The automaker will make Focus cars for domestic and export markets at the factory, which is due to open in 2012, it said. The plant in Rayong will have initial capacity of 150,000 cars a year. GM is also working to reopen a factory in Indonesia within the next two years to produce a seven-seat vehicle tailored for the domestic market, Apfel said. The plant in Bekasi, near Jakarta, has been idle for about five years. It may produce as many as 50,000 vehicles and require about $100 million in new investment, he said.